Join Us!!! We are looking for someone to help us cover Eritrean basketball. Please send us an e-mail. Kelati Interview : " Maybe in a few years you will see more Eritrean players"
Thomas Kelati (195-G/F-82, college: Washington St.) together with his Turow Zgorzelec jumped into a massive lead in the ULEB Cup Top 16 series against BC Kyiv winning away from home yesterday. David Logan and Thomas Kelati teamed up for 47 points to upset an ambitious Ukrainian outfit, 59:71. Now BC Kyiv needs a miracle to deny a 12-point deficit in the second game. Turow entered the game with the best defense of the ULEB Cup regular season and they lived up to the status. A stifling defensive performance from the visitors resulted in painful 15 turnovers from BC Kyiv and Turow used to full advantage. Thomas Kelati scored 5 unanswered points at the start of the game. Slobodan Ljubotina added 5 more and Turow gained a comfortable 10:0 lead early on. Ryan Stack and Marcus Faison brought a sloppy Kyiv team back to life at 8:12 but Turow continued to dominate. The visitors went on a 9:2 run to accumulate a 21:10 lead. Eugene Jeter and Manuchar Markoishvili trimmed the deficit to 6 points at the end of the first period 18:24. The Polish side ignited a 7:0 run early in the second stanza and stretched the margin. But Manuchar Markoishvili and Marko Maravic kept the spectators hopeful as they pulled the gap back to 6 points. Thomas Kelati stroke from downtown once again and sealed a 34:25 outcome for the first half. Tomo Mahoric introduced Artur Drozdov into action in the second half despite BC Kyiv's captain being advised to rest his injured knee. Drozdov added some flexibility in offense and the hosts seemed to get rolling. Manuchar Markoishvili nailed a pair of impressive buckets and Marko Maravic added from inside to cut the difference. But not for long though. David Logan came up with 5 straight points and made it a 49:36 advantage after 30 minutes. David Logan hit an incredible off-glass treble and Slobodan Ljubotina added another one from the corner to silence the crowd at the Sports Palace early in the fourth. Artur Drozdov beat the clock with a long bomb of his own but it was just a short spark for the home team. David Logan kept on delivering points to keep Turow at a safe distance. BC Kyiv desperately needed to come closer and when Drozdov and Eugene Jeter knocked down back-to-back treys the gap was narrowed to 8 points. But Thomas Kelati remained cool-headed and his two triples ensured positive emotions for Turow after the game. David Logan notched game-high 25 points for Turow. Thomas Kelati scored 22 points, while Slobodan Ljubotina had 15 points for the winners. Eugene Jeter launched 15 points but committed 7 turnovers for BC Kyiv. Manuchar Markoishvili sank 12 points in defeat. Stelmet Enea BC Zielona Gora (EBL) signed experienced 36-year old former Polish international swingman Thomas Kelati (195-91kg-82, college: Washington State, agency: BeoBasket). He has a double citizenship as he also holds Eritrean passport. Kelati has played there for the last two seasons. He helped them to make it to the Supercup final and to the Cup final. Kelati played 16 games in Basketball Champions League where he averaged 7.3ppg, 1.5rpg and 2.1apg last season. Among other achievements Kelati won Polish League championship title in 2017. He received also Eurobasket.com All-European Championships Honorable Mention award back in 2011. Kelati represented Poland at the European Championships in Slovenia six years ago. His stats at that event were 5 games: 9.0ppg, 3.4rpg, 2.6apg, FGP: 52.6%, 3PT: 31.8%. Kelati is a very experienced player. He has played also professionally in Belgium (Belfius Mons Hainaut), Greece (Olympiacos), Russia, Spain (Unicaja Malaga, Valencia Basket and UCAM Murcia) and NBA (LA Lakers). It may be one of last seasons in his extensive career, which he may end at Stelmet Enea. Kelati attended Washington State until 2005 and it will be his 14th (!!!) season in pro basketball. Let's have closer look into His outlook: A swingman who improved in each of his seasons overseas, becoming ACB material. Has a very quick and effective first step, that allows him to beat almost anyone. Long arms and timing make him a very good rebounder for his size. Defense is adequate both on the 2 and 3, but has the athletic skills to improve it too. FC Bayern Munich of the German BBL has tabbed 26-year old American guard Jared Cunningham out of Oregon State, who played most recently at Jiangsu Tongxi Monkey Kings in Chinese CBA league. In 31 games in Asia he averaged 34.0ppg, 4.0rpg, 2.2apg and 2.1spg last season. Cunningham ended the previous (2015-16) season with the Bucks in the NBA where in four games he had 4.0ppg and 2.3rpg. But the most of that year he spent at the Cavaliers in NBA. In 35 games he recorded just 3.0ppg. In 2012 Cunningham was drafted by Cleveland Cavaliers (NBA) in first round (24th overall). He attended Oregon State and it will be his sixth season in pro basketball. Cunningham received NABC Division I All-District 20 1st Team award back in 2012 at his college time. Cunningham has played previously professionally in NBA (Atlanta Hawks, LA Clippers, Phi.76ers and Sacramento Kings) and NBA G League (Texas Legends, Northern Arizona Suns and Delaware 87ers). Defending champion Stelmet Zielona Gora (TBL) agreed terms with experienced 34-year old Polish ex-international swingman Thomas Kelati (195-91kg-82, college: Washington State, agency: BeoBasket). He is a dual citizen owning also Eritrean passport. Kelati has played for the last two seasons at UCAM Murcia in Spanish Liga Endesa. In 36 games he had 5.6ppg and 1.4rpg last season. The list of the past achievements is quite long as among others his team made it to the Spanish ACB Supercup Final Four for two years in a row (2013 and 2014). 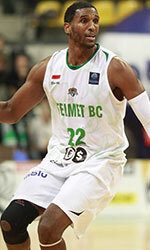 Kelati was also voted Eurobasket.com All-European Championships Honorable Mention back in 2011. He represented Poland at the European Championships in Slovenia three years ago. His stats at that event were 5 games: 9.0ppg, 3.4rpg, 2.6apg, FGP: 52.6%, 3PT: 31.8%. Kelati is quite experienced player. He has played also professionally in Belgium (Belfius Mons-Hainaut), Greece (Olympiacos), Russia (Khimky), NBA (LA Lakers), Spain (Laboral Kutxa, Unicaja Malaga and Valencia Basket) and Poland (PGE Turow). Kelati attended Washington State until 2005 and it will be his twelfth (!!!) season as a professional player. 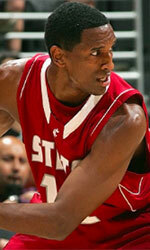 He could be described: A swingman who improved in each of his seasons overseas, becoming ACB material. Has a very quick and effective first step, that allows him to beat almost anyone. Long arms and timing make him a very good rebounder for his size. Defense is adequate both on the 2 and 3, but has the athletic skills to improve it too.